These pages provide helpful links (see below) to those interested in qualitative interviews. (Updated on 2 January 2018). Rabbidge, M. (2017). Embracing Reflexivity: The Importance of Not Hiding the Mess. TESOL Quarterly (invited research series). 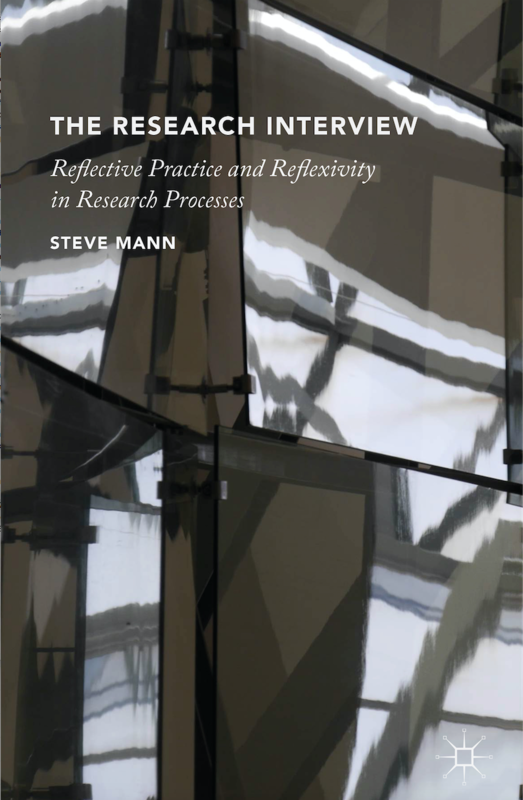 My book The Research Interview: Reflective Practice and Reflexivity in Research Processes is available Palgrave website and on Amazon. The book develops the arguments made in a paper that was published in a special issue of Applied Linguistics (A Critical Review of Qualitative Interviews in Applied Linguistics). It has ten chapters, ranging over issues concerned with interview context, types, analysis and representation. One of the distinguishing features of the book is that it features a great number of 'reflexive vignettes', generously provided by both established and more novice researchers. These vignettes include details of context, a transcribed extract and a reflexive commentary. They offer unique insights into interviewing in action. This comprehensive list of interview references is a good starting point if you are collecting information about qualitative interviews. There was a special issue of Applied Linguistics Review published in 2016 . The issue features work by linguistic ethnographers that critically engage with contemporary sociological discussions on reflexivity and late modernity. It is titled Reflexivity in Late Modernity. Roulston, K. (2010). Reflective Interviewing: A Guide to Theory and Practice. London: Sage. Edwards E. and Holland J. (2013) What is Qualitative Interviewing? London: Bloomsbury. ESDS (Economic and Social Data Service) Guide to Qualitative Interviews (provides introductions and example transcripts for a range of different qualitative interviews - including unstructured interviews, feminist interviews, pychosocial interviews and life story interviews). Guardian list of Great Interviews of the 20th Century (some great material for inital training in noticing features of interview interaction - contrasting with the research interview). Vialogues is good site for seeing examples of practice interviews - you can also comment on the videos once you have registered. it is run by EdLab at Columbia University. Timescapes ESRC project uses 'walk alongside' interviews to build up a picture of lives in 21C Britain. Using Skype for interviews; pitfalls and challenges (Susie Weller 2015) and an article that discusses the effectiveness of using video internet technologies, like Skype, for qualitative interviews (Sally Seitz 2016). The Qualitative Report (Useful website with useful articles about qualitative interviews and training with an advanced search engine). Narrative approaches (Gary Barkhuizen). He has other articles which exploring narrative knowledging. Demo qualitative interview with mistakes - youtube video. Corpus of informal conversations rom the late 1930s (Ivor Timmis). Ivor has recently developed an open access historical spoken corpus with data from the late 1930s. TThe data includes informal conversations among working class people in public places such as pubs, sports grounds, streets and shops. Although co-operative development is not interviewing - it is interesting to experience the role of being an "Understander" a particularly concentrated form of active listening. For links see Mariam Attia's site. Also Phil Longwell's recent blog post.